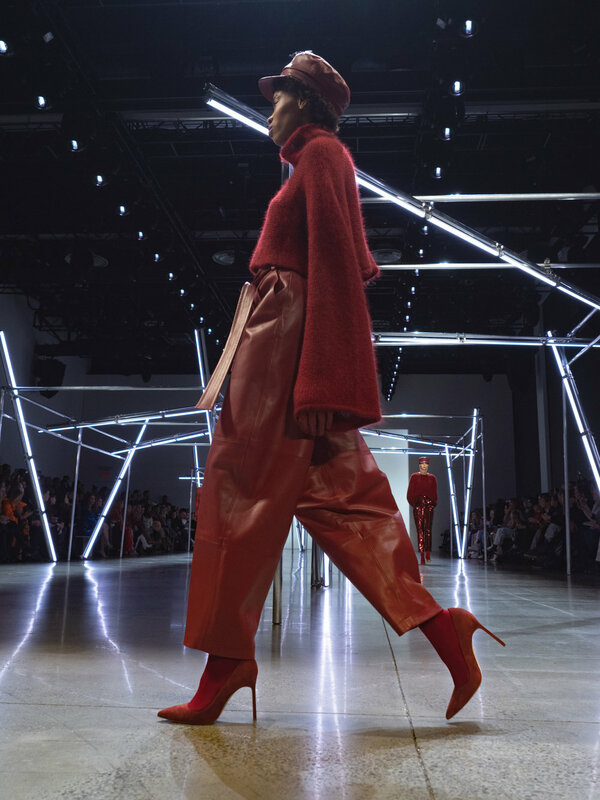 “Ambition is a dream with a V8 engine.” A quote from the late great Elvis Pressley which compliments this seasons collection from Sally LaPointe perfectly. Sally drew inspiration from Elvis for this new collection after viewing his ’68 Come back special. You remember the plunging satin V-neck and red neckerchief? Yes, we know it is hard to forget but in case you are a part of our millennial readership one thing we can tell you is that Elvis rocked with a Go Big or Go home mentality. Many of those qualities were featured in this collection. 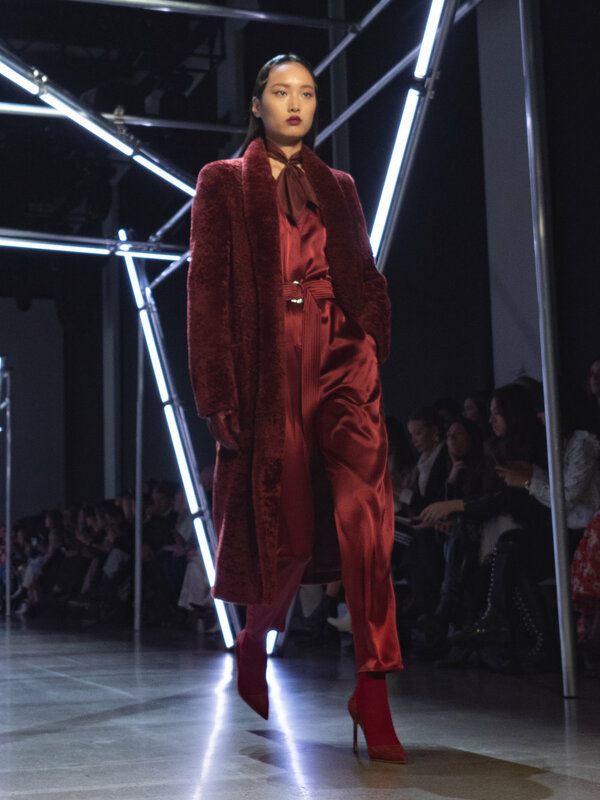 Leather and snake skin dominated looks through out and while it may not be following the sustainable trend Sally confidently released this collection with her “Sally LaPointe Women” in mind. 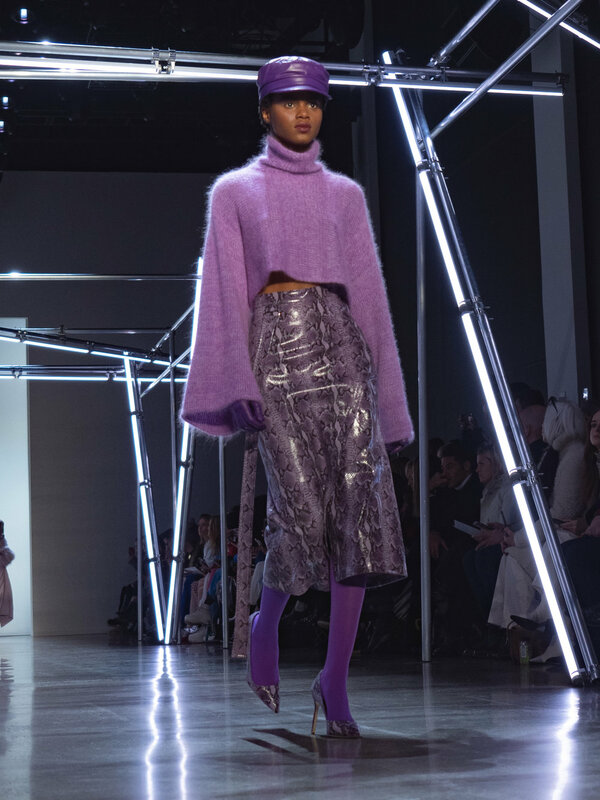 Purple, Mint, Black, Winter white and more made its way down the runway with Sally’s traditional glamour including this season’s feature of sequence, sequence and more sequence. 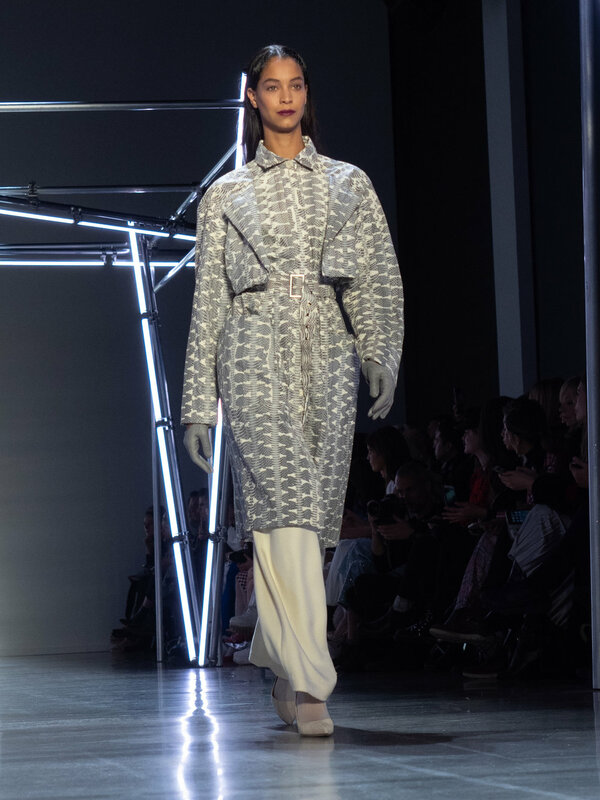 You can find the label in Bergdorf Goodman, Neiman Marcus and many other stores including her online boutique. 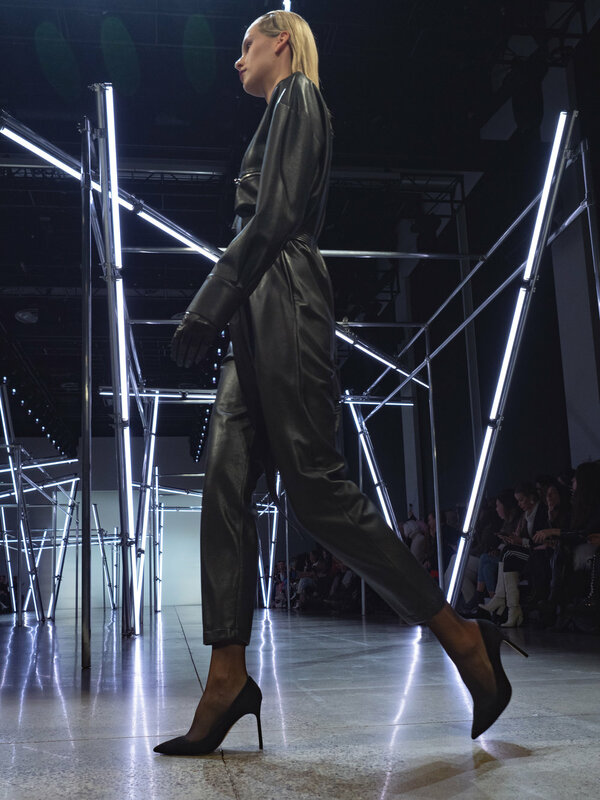 Who is the Sally LaPointe woman you may? 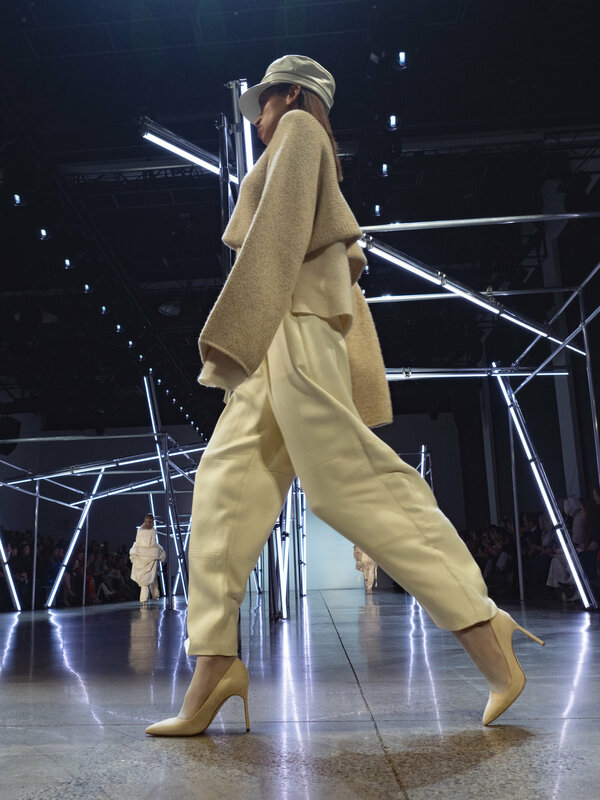 With as many stores that carry her luxury label, she has the same vast of diversity in clientele as well. 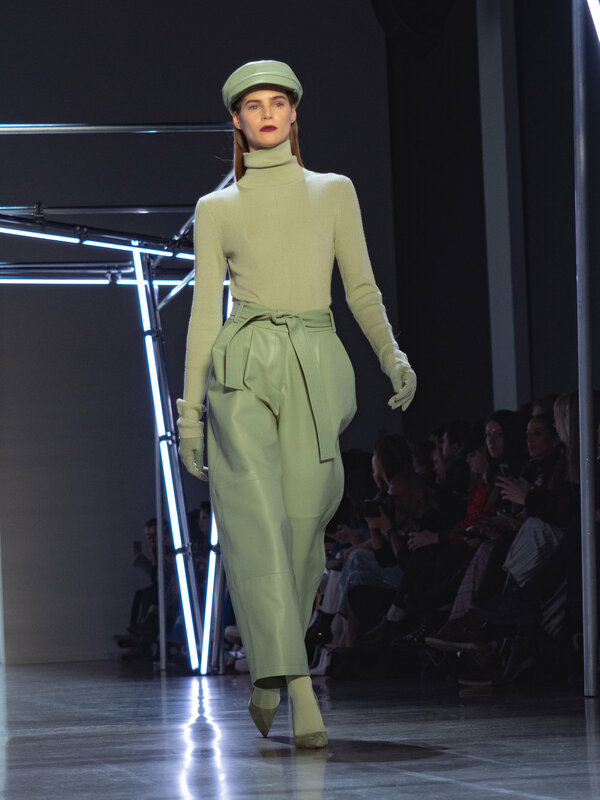 Looks of hers have been seen on Jennifer Lopez, Kendall Jenner, Kerry Washington, Gigi Hadid and that is just to name a few! 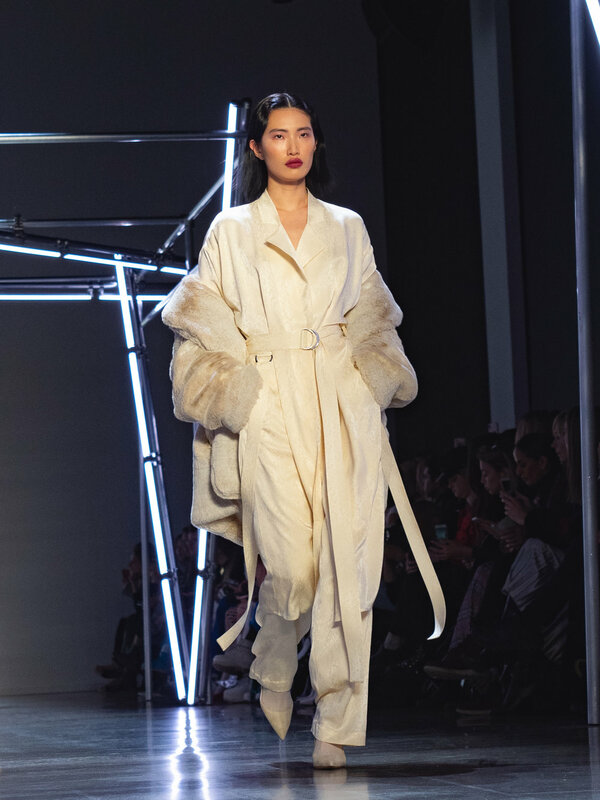 While mother nature tried to put a perfect snow storm in the way Sally was sure to bring the Luxe to Spring Studios for this seasons New York Fashion Week season!